Every time you hop out of an Uber and rate your driver, your driver is rating you. It's easy to find out your rating. Open the Uber app and click the option button in the top left of the menu. Select "help" then "account." At the bottom of the list you'll see "I'd like to know my rating." Select that and then on the following screen hit submit. 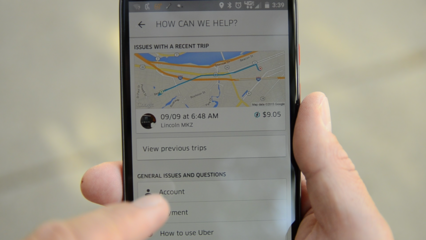 In a few hours you'll get an email from an Uber representative that has your average rating. You can't find out what specific drivers rated you. Knowing your rating is important because it could directly impact your wait times. Uber drivers can see your rating before accepting you as a passenger. Ratings are subjective so there's nothing to stop a driver from giving you a "one" -- the worst rating -- for making them wait a few extra minutes or asking for help with luggage.